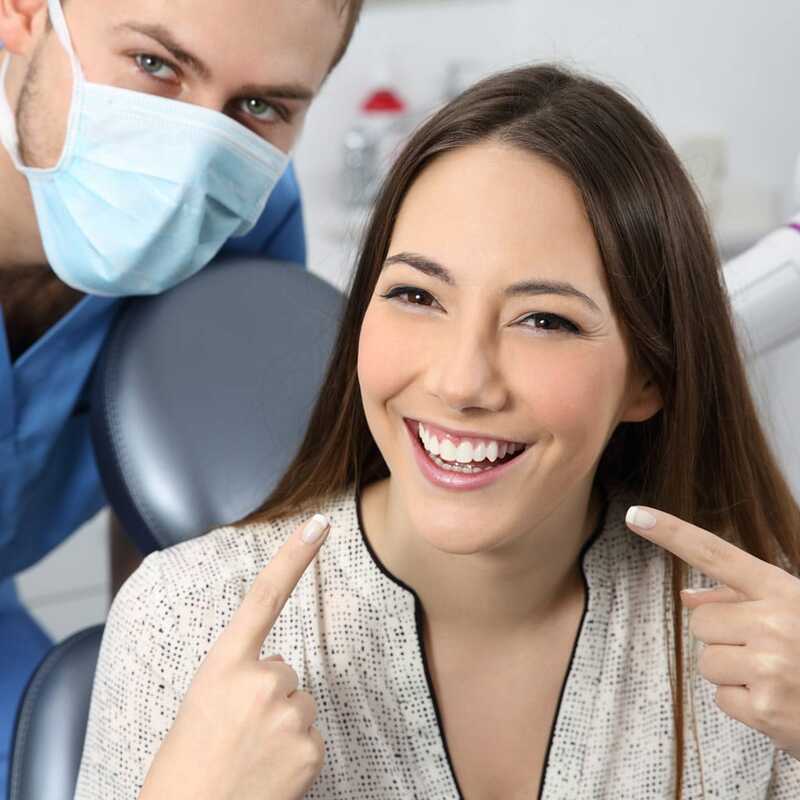 Root Canal Treatment is the removal of any inflamed, infected or dead dental pulp or nerve tissue and its replacement with a biocompatible filling material. 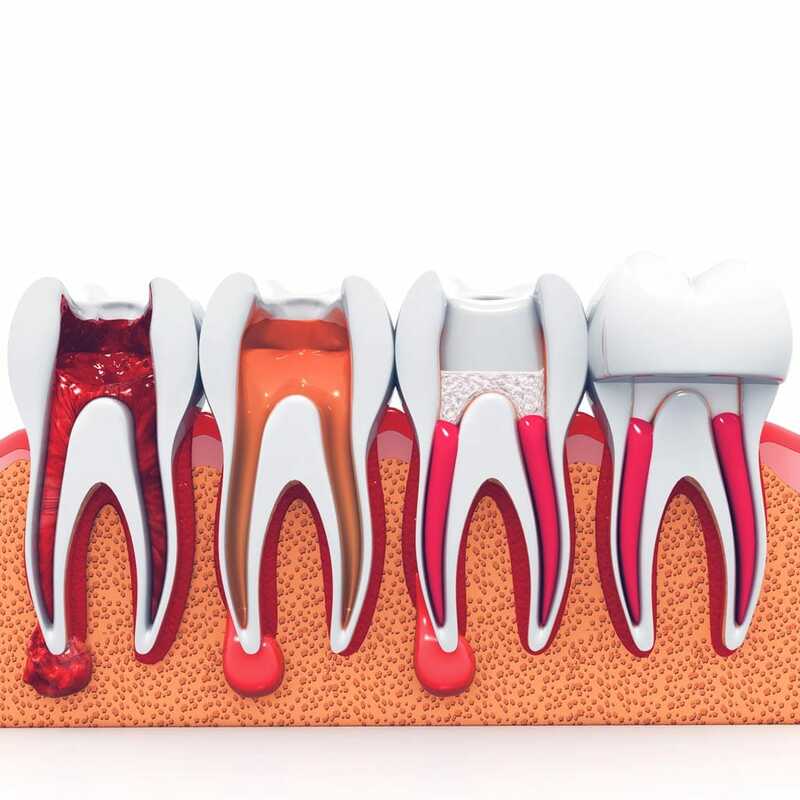 A tooth will go through several stages of disease as it dies inside, due to irritation or infection. It may be a reversable process in the early stages much inflammation builds up the dental pulp dies and may progress to a dental abscess. Bad signs are if the tooth becomes painful to hot rather than cold, is tender to tapping or a swelling has developed next to it. These are not the only possible reasons for these symptoms though. Sometimes teeth can quietly die off, even several months later, after a knock, for example. The only hint of a problem may be a darkening in colour. The most common causes of problems are injury, a large cavity that has reached the dental pulp, or teeth that are heavily and/or repeatedly filled. 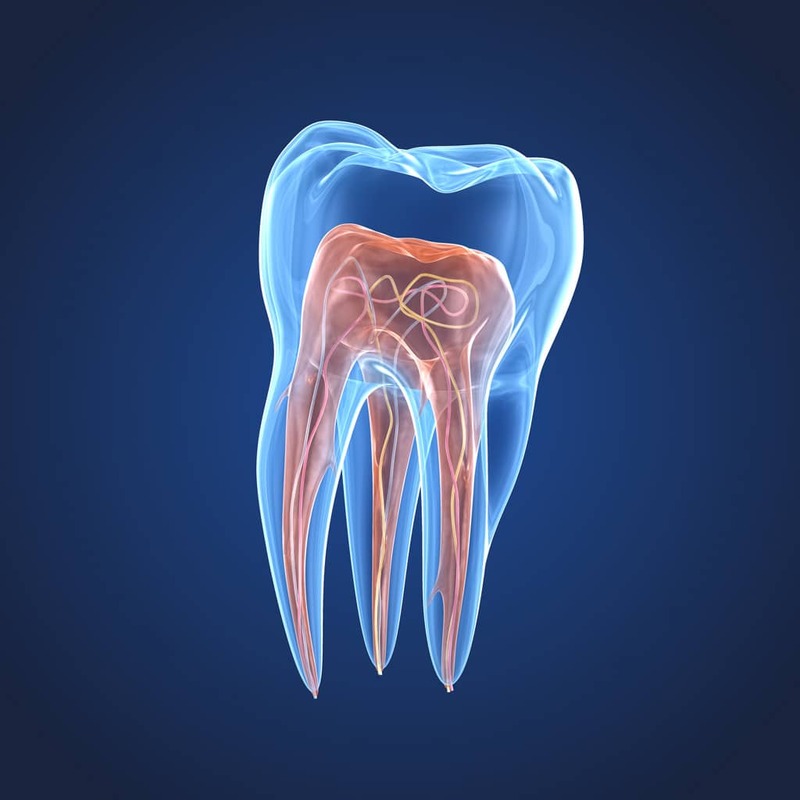 Root canal treatment is usually a 2 step process. Firstly, the pulp is cleaned out and the root shaped ready to take a filling. A medicine is placed in the root to relieve inflammation and remove bacteria and then left at least a couple of weeks to heal. If there is a lot of damage to the bone around the root, we may leave it months to heal. Then we go back in, flush out the medicine and seal the canals with a biocompatible filling. Either a normal filling is placed on top of this or a post put in the root first and then a filling or crown over the top. Generally, a crown is preferable as these teeth are more prone to fracture. It is believed this may be due to the fact the tooth is already quite hollow and/or the reflex has been lost which stops one biting too hard on something. A crown solves the common problem of the tooth going dark. Sometimes we can internally whiten such a tooth instead.